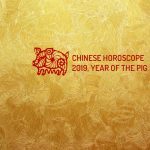 Discover here the predictions of the Chinese Horoscope 2019 for all the signs of the Chinese Zodiac. The Chinese Horoscope has a curious tradition that comes from years ago. The story tells that Buddha, before dying, wanted to gather all the animals of the earth to leave them in charge of his last will. His surprise was that only twelve animals were presented (the Buffalo/Ox, the Tiger, the Rabbit, the Dragon, the Snake, the Horse, the Goat, the Monkey, the Rooster, the Dog, the Rat and the Pig) and Buddha, as a reward, turned them into the signs of the Chinese Zodiac. Each animal would rule one year and this would influence the personality and character of all the people who were born in it. Although, for sure, not all people have the same personality, there are features and feelings that resemble each other. And Yin, Yang and the Five Elements (metal, water, fire and earth) also influence that process. The Chinese Horoscope has an almost legendary tradition, it’s 5000 years old and is based on the lunar years. Each year the person who is born in it is baptized with the name of an animal. And much of this custom has its origin in ancient Chinese Taoism. As a point of reference, Taoism is a global system of description of reality. In it, the phenomena of nature is analyzed and classified; and their theories are based on unalterable cosmic laws applicable to any plane of life. The Rat is a brave, intelligent, sober and resourceful animal. The Buffalo or Ox is an animal related to agriculture, work and patience. It always goes forward with firm and slow steps but it is constant. The Tiger is characterized by its intelligence, and it is an animal with many skills and power. In addition, it manages to be respected. The Rabbit is a symbol of fertility, moral and longevity. It is an animal that seeks for safety and serenity. The Dragon is the ruler of all the animals. He possesses the power of the five elements within itself. The Snake is considered an animal full of sagacity and cunning. The Horse represents speed and movement. It is a coordinated animal, it has great beauty and it is noble. The Goat is an animal that hides its qualities from the world but it is, at the same time, loved and respectful. The Monkey is a symbol of good luck, happiness and joviality. The Rooster presents authority and leadership. The Dog is an animal that is associated with unconditional friendship. It is faithful and loyal. The Pig or Boar is one of the animals that represents laziness and gluttony, but it also has a very intricate courageous part. Born in the years 1900, 1912, 1924, 1936, 1948, 1960, 1972, 1984, 1996, 2008. It is a sign as smart and astute as elusive. For the Chinese, the Rat is seen as an animal that attracts prosperity with protection. They are great conversationalists but they do not trust their problems and concerns easily. They can, with no difficulty, occupy positions of authority for their gift of command. One of its biggest flaws is greed, which prevents them from retiring on time before losing business. They are compatible with t Dragon, Monkey and Rat. See more of its characteristics and personality traits here. Born in the years 1913 – 1925 – 1937 – 1949 – 1961 – 1973 – 1985 – 1997 – 2009. Like the analogy with the animal, those born under this sign are extremely hard workers and consistent in their daily task. They assume all responsibilities without any complaint and in the best way. They are humanitarian and concerned about social causes. They do not support the risks so they will hardly be seen in extreme situations. Very affectionate and affectionate with the people they appreciate. They do not commit if they do not believe they can keep their word. The Rooster and the Snake will sustain positive relationships, not so with the Goat and the Dragon. See more of its characteristics and personality traits here. Born in the years 1902 – 1914, 1926, 1938, 1950, 1962, 1974, 1986, 1998, 2010. Rebel and brave, they see life from another perspective, always in search of adventure and intense emotions. They do not have half measures, or they are loved and idolized by their environment or hated and rejected. They are always the center of attention in any type of social gathering. They are eternal lovers and very romantic although when they are hurt and betrayed they can become ruthless. They are constantly submerged in a hurricane of emotions that prevent their actions from being predictable. The Dog and the Horse are unquestionable companions for the Tiger, contrary to the Monkey, the Snake and the Rooster with whom chemistry does not flow in any way. See more of its characteristics and personality traits here. The Rabbit loves comfort and security, so you can never associate them with competitive and risky environments. They love luxury and do not try to lead or lead groups or situations. They are fair and balanced, although somewhat distant and even frivolous. Enjoy social encounters as part of a whole and not as the center of all eyes. They are not communicative by nature but they are good counselors without getting too involved or opening their hearts too much. They will establish good relations with the Dog and the Pig, but it will mark distance from the Horse, Tiger and Rooster. See more of its characteristics and personality traits here. Born in the years 1916 – 1928 – 1940 – 1952 – 1964 – 1976 – 1988 – 2000. The fifth sign of the Chinese Horoscope is also the only mythical animal of the entire zodiac. The Dragon is placed in the doors of the residences to ward off evil spirits and demons. It is a sign of good luck, and under its influence the birth of more babies is recorded than in any other sign. They have a lot of magnetism and personal appeal. Noble and frank, although with traits of an arrogant and intolerant personality. In the workplace, they can be a despot by imposing some points of view. It will not be possible to establish a great link between the Dragon and the Dog, but they go along with the Rat and the Monkey. See more of its characteristics and personality traits here. Born in the years 1917 – 1929 – 1941 – 1953 – 1965 – 1977 – 1989 – 2001 – 2013. The phrase “snake charmers” fits them perfectly. Discreet, observant and of fixed ideas. They do not lose the north easily because of their prudence. They are not distinguished for being great conversationalists. In love they are sensual, possessive and jealous. Although they are faithful, they will not miss the opportunity of an adventure if it is presented to them. Another characteristic that distinguishes them is refinement and their love for good food and good wine. There is no great possibility of connection with the Pig. Establishment of a good team with the signs of the Buffalo or Ox, the Rooster and the Dragon. See more of its characteristics and personality traits here. Born in the years 1918 – 1930 – 1942 – 1954 – 1966 – 1978 – 1990 – 2002 – 2014. Free and indomitable spirits, they love constantly changing the environment and projects. They are not always reflective but they are determined in everything they undertake. They have a lot of talent and a sense of opportunity guided by a joy that spreads. They do not usually listen to others because they have difficulty receiving advice. Always represents the triumph and the victory. Although they have good luck in business, they are not always the best stewards of their wealth as they tend to be ostentatious. Tiger, Dog and Goat are the ideal pairs, unlike the Rat and the Buffalo or Ox. See more of its characteristics and personality traits here. Born in the years 1919 – 1931 – 1943 – 1955 – 1967 – 1979 – 1991 – 2003 – 2015. The Goat is extremely calm and docile, although inside they have a volcano of emotions. You need the support of the environment to be able to follow your personal projects. They fear harming others with their actions because of their high sense of honesty and sincerity. Their little ability to express their feelings makes them suffer in silence. They are affectionate with the people they love and respect. Sometimes they get carried away by pessimism. Their withdrawn character gets along well with the Horse, the Pig and the Tiger. However, the sign of the Buffalo or Ox will make them opposition. See more of its characteristics and personality traits here. Born in the years 1920 – 1932 – 1944 – 1956 – 1968 – 1980 – 1992 – 2004 – 2016. This sign is the ninth of the zodiac. It is practical and capable of executing any type of project. It is an animal that can have two faces. The worries of the environment do not take away a Monkey’s sleep. Their goal is to have fun and feel satisfied while they develop a high sense of independence. There will be no one who enjoys more of the occurrences of the Monkey than the signs of the Rat, the Dragon, the Rooster and the Pig, while running in the diametrically opposite sense of the Tiger. See more of its characteristics and personality traits here. Born in the years 1921 – 1933 – 1945 – 1957 – 1969 – 1981 – 1993 – 2005 – 2017. The rooster is the boss in the corral and he makes the rest of the group feel that way. Roosters are hardworking and honest but also vain. They love controversy, perfection and details and they do not admit their mistakes easily. They are good friends, although whoever accompanies them must learn to deal with their exacerbated ego and their constant desire for flattery and adulation. The Snake, the Ox and the Dragon will be good allies as well as the Pig and the Horse. The Rat and The Rabbit will be destructive companies for the Rooster. See more of its characteristics and personality traits here. Born in the years 1922 – 1934 – 1946 – 1958 – 1970 – 1982 – 1994 – 2006 – 2018. Willing to help everyone, thanks to your delivery and hospitality. Faithful by nature and conviction, money is not its main engine or north. However, they are distrustful of their affections until they feel they can surrender completely. Considered the most pleasant and friendly sign of the Chinese Zodiac, it is taken as leader although the idea does not please it at all. Precisely their strong spirit and difficult to bend makes others feel that they can lean on it. There will be harmony between the Dog and the Horse, as well as with the Rabbit and the Tiger. However, distances are extended with the sign of the Dragon. See more of its characteristics and personality traits here. Born in the years 1923 – 1935 – 1947 – 1959 – 1971 – 1983 – 1995 – 2007. 2019 is its year. The Pig is highly appreciated for its generosity. Always act in good faith, guided by noble principles. They have a lot of talent for academic activities as well as businesses and ventures. They take time to make decisions but when they do they are decisive. They have a great sense of humor that makes them be sought in social circles. In love they are very sensual and will lead their partners to feel great passions. The Rabbit and the Tiger will complement them in their needs, although their character will also allow them to get along well with the Rat, the Buffalo or Ox, the Horse and the Dog. The Pig and the signs of the Snake and the Monkey will not have the same luck. See more of its characteristics and personality traits here.